Daffodils…Spring peepers… Ospreys…Yellow perch…Oh My! True to form, March 2019 came in like a lion this year. With one exception, the average temperatures for its first nine days was two-to-fifteen degrees below average, with some bitterly cold northwest winds. But also true to form, this lion lost his teeth last week. The daffodil buds in my front yard somehow withstood the cold and a dozen burst out in the week's sun. Meanwhile, the male spring peepers (tree frogs) in the woods down the hill by the Severn River tuned up Monday evening, and they are now in full throat, seeking mates. 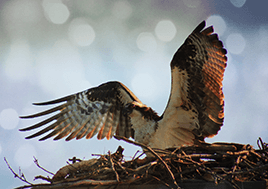 The ospreys who nest around CBF's Bay-side Merrill Center headquarters were slgihtly overdue, possibly because of the early cold, but they've turned up now. Meanwhile, the surface water temperature out front at Thomas Point Light is 42° F. this afternoon, so the shallow water in Black Walnut Creek beside the building is higher, which means that a few beautiful yellow perch (I grew up in Virginia calling them ring perch) are up in the headwaters, beginning to spawn. White perch (we called ‘em gray perch) will follow soon. The vernal equinox is here. 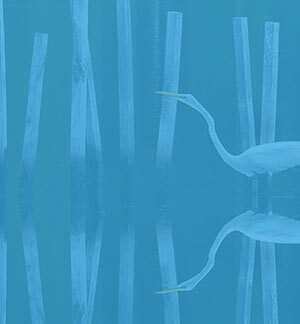 The Earth and its waters are responding. Daffodils are faithful perennials brought to North America from lands around the western Mediterranean, where they have grown as natives for several millions of years. 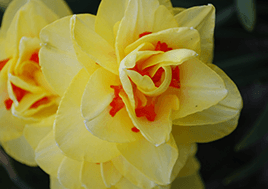 As some of the first blooms of Spring, daffodils make us smile with their showy, trumpet-shaped blossoms. They are faithful perennials brought to North America from lands around the western Mediterranean, where they have grown as natives for several millions of years. We plant them as bulbs and they keep on giving us color, year after year, with multiple strains of yellow, white, orange, and combinations. No wonder demand for them has built dozens of nurseries and inspired a great annual Daffodil Festival down the Chesapeake in Gloucester, Virginia. 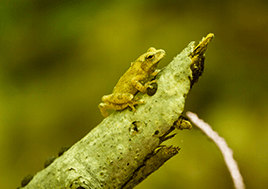 Spring peepers are tiny, nocturnal woodland frogs, (about 1.5” long) and visually unobtrusive. Spring peepers are tiny, nocturnal woodland frogs, (about 1.5" long) and visually unobtrusive (tan or brown with a dark X on the back), but the males have outsized voices. In winter they hibernate, but when March allows warm sun to penetrate their haunts, they rouse themselves and begin singing to attract mates. For many of us around the Chesapeake, the evening chorus provides an almost unconscious recognition that spring is here, as in "Oh, yes, the peepers are out tonight." The little frogs mate in water, so they favor woodlands close to shallow pools and ponds. 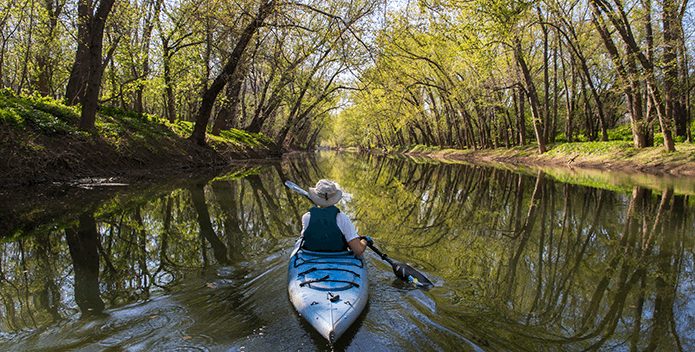 Anyone who drives U.S. Route 301 in central Virginia is familiar with the community of Frog Level in Caroline County, an expanse of flat timberlands with the requisite "wet woods" and a valuable, eponymous volunteer fire department. Osprey pairs tend to mate for life, but they spend their “off-season” apart, scattered through Central and even South America. Yellow perch are part of the indoor coastal plain gallery at the Virginia Living Museum in Newport News, VA.
Yellow perch are as colorful as daffodils. In the Chesapeake's uppermost tidal tributaries, these fish gather for spawning runs, with the males in full regalia of golden bodies with dark olive bars (hence the nickname ring perch) and bright orange pectoral, pelvic, and ventral fins. They spawn at water temperatures of 42-46° F., leaving long gelatinous strings of eggs hanging from branches of fallen trees in the streams' currents. For many years, fishing these runs was a family affair in both Maryland and Virginia, because these 9-13" panfish are much-beloved for their sweet fillets. Unfortunately, too many people measured their catches by the bucketful, and construction runoff damaged water quality in those headwater streams. Some runs are mere shadows of their former selves, and fewer people fish the runs. 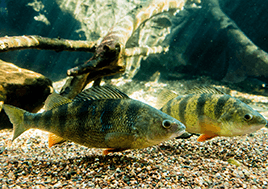 However, stream restoration, better erosion control, and more careful fisheries management over the past twenty-five years are slowly restoring yellow perch to their iconic springtime status. Most of today's anglers give them the respect they deserve, in the water and, judiciously, on the table. Don't put your wool, fleece, and Gore-Tex away just yet, because March's Lion can still roar, and be careful, because water temperatures in the 40s and 50s can still hurt—or worse. But get out there, afoot or afloat. There's lots to see and do. Welcome Spring!